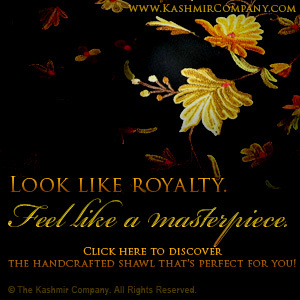 Home » Why Shop at The Kashmir Company? 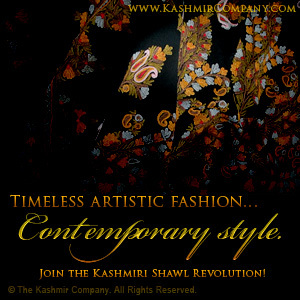 Where You Shop Matters… The Kashmir Company is Deliberate in Using YOUR Money to Help the Kashmiri People & Arts! 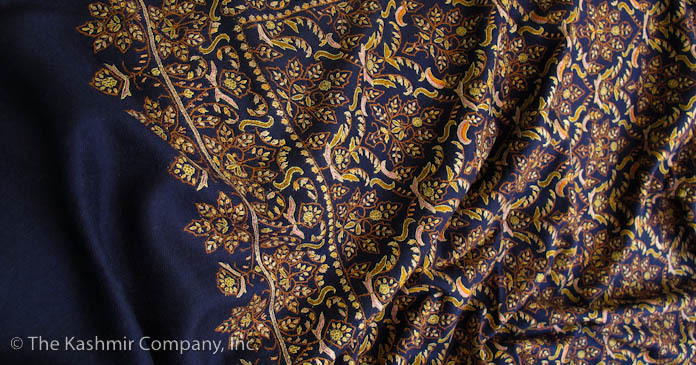 We believe that the centuries-old, breathtaking skill of shawl & scarf making must endure because of its incredibly rich history… not just in fashion, but also in the world of original art. Just like a picture speaks a thousand words, each shawl or scarf is expressing an emotion-filled story as told by the artisan who made it. Female style enthusiasts of the past and present don’t just wear Kashmiri shawls & scarves to demonstrate their trend-setting fashion sense; the social elite wrap themselves with shawls and scarves for the magnificent stories they tell. We honor the lineage and talent that it takes to produce the unmistakable handcrafted shawls & scarves showcased on our site. In fact, there simply isn’t another online company that features such a vast array of completely original, one-of-a-kind, handmade, hand-dyed, hand-embroidered, handcrafted shawls & scarves. Equally, there isn’t another company selling authentic handmade shawls or scarves, anywhere, with the mission of reviving this ancient art form so it can reclaim its prominence atop the fashion world. 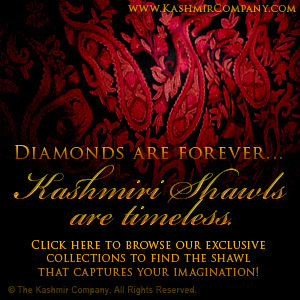 Shopping at The Kashmir Company is declaring your support for the artisans who spend as much as three years completing just one shawl. …And it’s important to decorate your body with something just as original as you are! That’s why you might notice that we don’t use models to present our shawls or scarves. 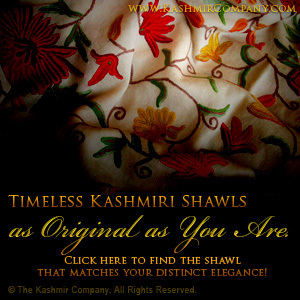 …We want you to feel compelled by the unmatched beauty that every single one of our shawls & scarves possesses. Then we want you to imagine yourself wrapped in the story that only the shawl or scarf you’re drawn to can tell when it’s accentuating your divine female individuality and sensuality! Click here to visit our main site and see for yourself what kind of beauty awaits you!